Computer programming courses for kids has become easier with apps and online resources. Other than having apps that help in revising for kids’ exam, these computer programming related apps comes with project-based learning. These tools give them a chance to create and participate in fun activities. If your kid has a packed curriculum or if they think coding isn’t interesting, these applications are perfect to start with. These apps are used in coding classes for children and can be used by anyone without any background in coding. 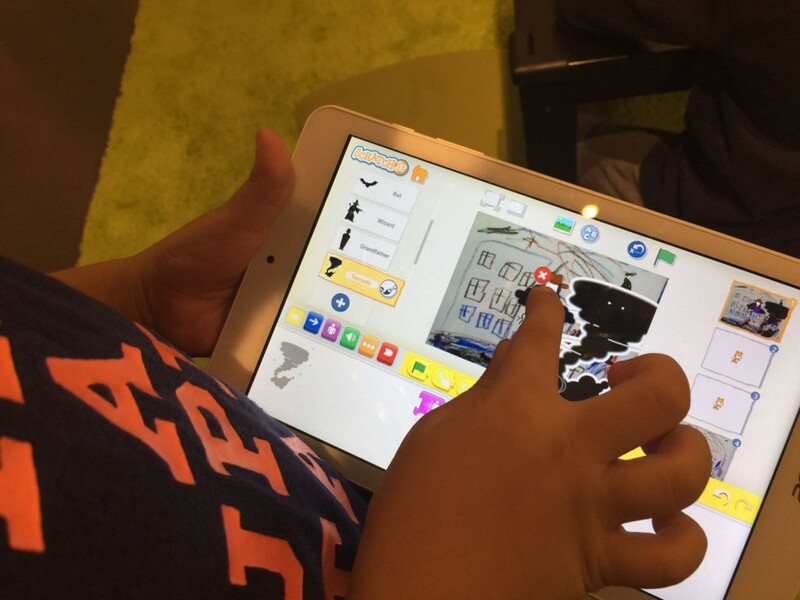 Read about the top 6 apps that can be used to teach children how to code. This is available on the internet free of cost. It was designed by a group of students and teachers from MIT. Scratch was developed for computer programming courses for kids of ages 8 to 16. The Scratch website provides teaching guides and resources to help instructors with no prior background. Scratch uses a visual coding language with bricks to be dragged to the workspace to trigger loops, play sounds and create variables. Tynker is a free, web-based application as well. It is a new tool, but already popular in coding classes for children. The interface is like Scratch. However, the difference is that while the former was designed for programming, Tynker teaches programming. Tynker has lesson plans, a community of student-created programs, and tools for classroom management. Tynker lets students learn at their own pace, and sparks interest in programming in them with its interactive games. Available on iPad, Cargo-Bot teaches computer programming for kids for free. Kids have to write programs in order to control a robotic arm and move crates to the top of the screen. The scope of replaying each level encourages kids to try out different moves. Coding classes for children are increasingly using Cargo-Bot to introduce otherwise different concepts like looping constructs and procedural abstraction. Kids from grades 5 to 12 can play this game. You can access Hopscotch on iPad for free. It is similar to Tynker and Scratch in that it uses controls to shift blocks onto a workspace. However, the difference is that the controls are not that extensive. Meant for grades 4 to 9, Hopscotch is a great tool to start computer programming for kids. This is another web based application meant for kids from ages 7 to 14. For kids who are into video games, GameStar Mechanic is the right app. By using a narrative style game and inbuilt design tools, kids can learn the basics of game design with this app. Using assets, they can then switch over to the workshop and start designing their own games. GameStar Mechanic helps develop problem-solving skills and critical thinking in your kids. Meant for kids of age 9 or above, CodeMonkey comes with excellent graphics and interesting puzzles. The game uses a real programming language and guides players at each step. CodeMonkey is a good choice for those looking to keep the burden of technical language away. Puzzles at higher steps require the use of knowledge gained so far, so the whole game functions as a carefully-thought-out programming curriculum. Spending time with your kids is essential to encourage them to hone their math skills. This can be done in a number of ways, including number games, daily practices and basic programming. It has always been believed that kids with strong math skills find programming interesting. 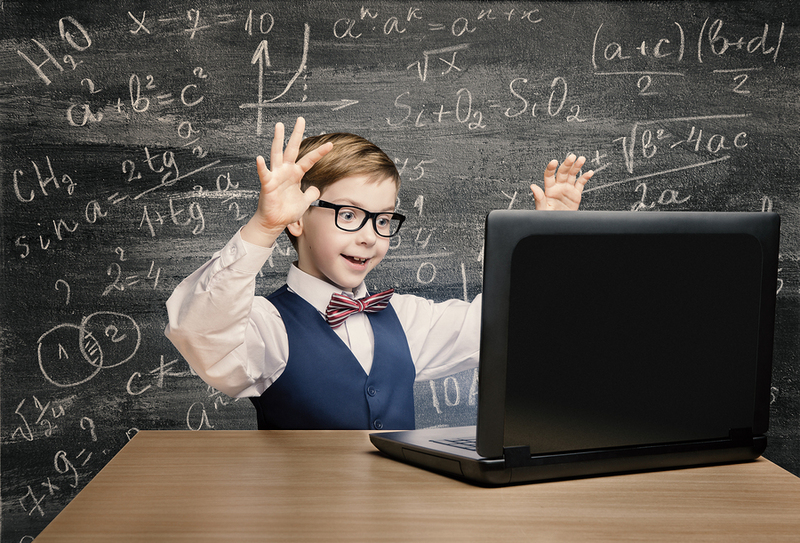 However, it has been observed that coding for kids can actually help them get better at math. Even though there have been myths about kids learning how to code, there is always another side of the story to know off. Here is how you should help your kids improve their math skills. Get your children to participate in projects that involve counting, addition or multiplication. This can be done by building structures out of Lego blocks or even shoeboxes. If your kids love outdoors, get them to build a tree house. Building structures using blocks can also help your child think spatially. Encourage building cuboids with cubes and so on. Begin with training your children to recognise numbers. Once they can do it fairly well, write all the letters alphabet on a paper. Leave space below each letter to write a corresponding number. Ask them to identify ‘a’ with 1, ‘b’ with 2 and so on. Get them to practice scribbling coded messages and send them to you. Games that involve coding for kids have a mystery element. The supermarket can be an exciting place to involve kids in counting games. Take them down the aisle and point out at random items and their costs. For instance, if a pack of cookies costs $1.59, ask your kid as to how much three packs would cost. Talk about the multiplication process and tricks of rounding up and subtracting the difference. You can also give them $5 and a pencil and paper. Now ask them to determine how to spend them on fruits. Math can be fun even when you’re eating out. Pick up the menu while waiting for your order and ask your kid to point out the cheapest item. Ask them to find all the items between two different costs too. Ask them what two/three items can be ordered for $9. Get home an inexpensive computing kit like the Raspberry Pi. Start at home with web applications or beginner books on coding or have them join kids’ computer programming classes. Using resources like Tynker, you can teach your kids to understand abstract concepts better. Coding for kids can improve their math skills by encouraging critical thinking, sequencing and visualisation. Coding classes by professionals can help each kid focus well. Moreover, coding classes use fun programming games. Taking mathematics to the kitchen can not only make learning more enjoyable but makes cooking interesting. Ask them how many more tomatoes would it need to double the amount of sauce. Ask them to put twice as many olive slices on the pizza as there are mushroom slices. Encourage multiplying for doubling. Use interesting items like chocolate chips to help them build their estimation skills. 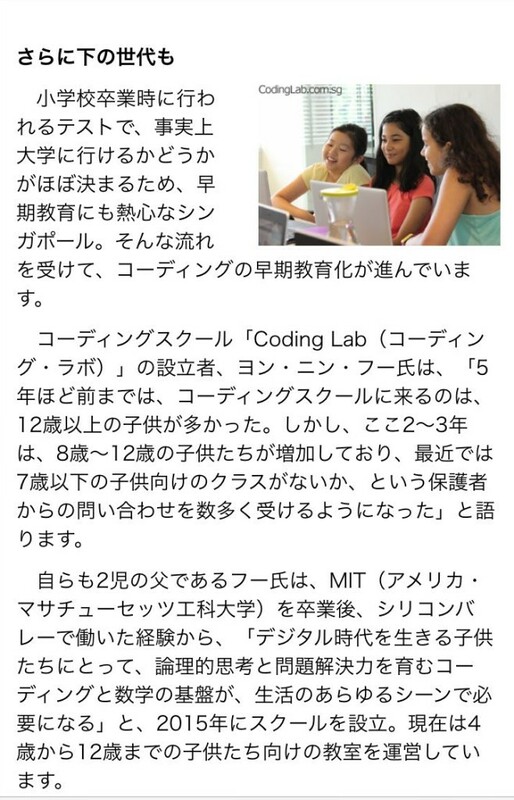 Coding Lab is honoured to be featured in Bizcompass, Japan’s leading site for Business leaders, highlighting key trends in IT and Globalisation. As big as Tokyo 23 wards, needing to import water for its survival, Singapore is a top class developed country in the world. Built only about 50 years ago, the reason for her success are meritocracy and its biggest natural resources, people. With about 17% of her budget spent on education (compared to 7% in Japan), Singapore places great emphasis on her education policy. In Singpoare, learning to do “coding” (programming) is currently getting lots of attention. Coding is something that is used to write programs to run in computers, but because it can also cultivate logical thinking, it is currently a topic getting attention. In Singapore, under Prime Minister Lee Hsien Loong, who is a mathematician, is pushing forward with a “Smart Country Strategy”, where technology is key in providing convenience and efficient lifestyle. IT education is being incorporated into her education system to drive this technology push. 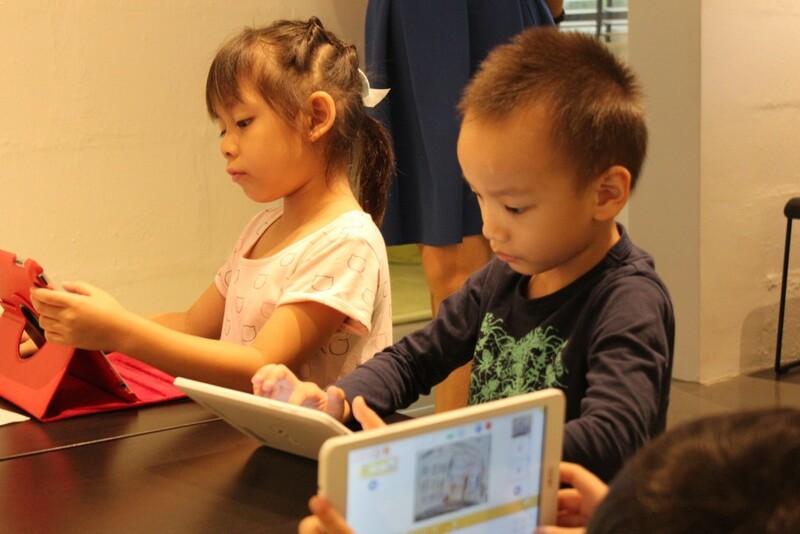 According to OECD’s PISA (an indicator of education level) latest test results, Singapore is already showing good results, reaching an overall of 2nd place, and were placed first in areas such as Digital Reading Ability and Digital Mathematics Literacy. The Ministry of Smart Country Strategy has already declared education as one of the key to the strategy success. Singapore’s government is supporting this motion by adding Programming as an high school entry examination subject for 19 of her secondary schools next year. On top of that, Singapore is also starting “Computing” courses with “Coding” as the center of the curriculum. 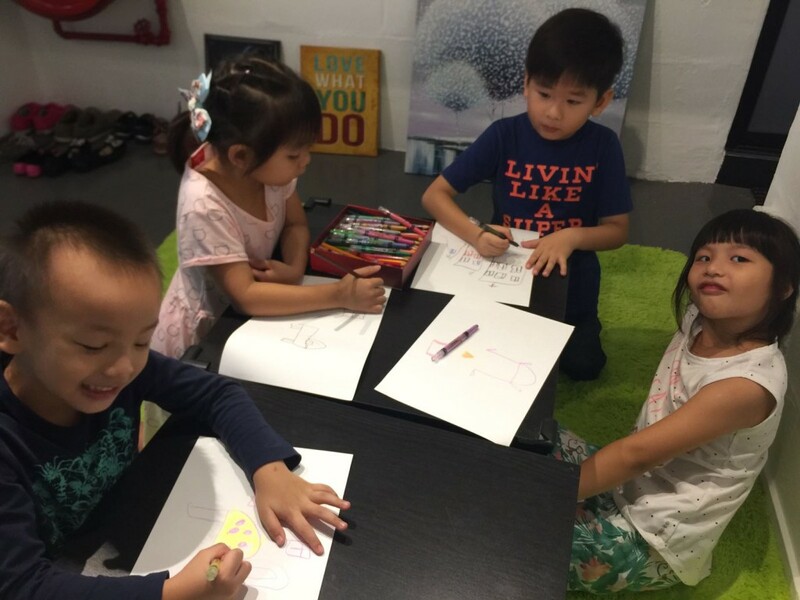 In Singapore, where end of primary school examinations can influence a child’s future education endeavors, there is a passion to adopt various learning early. Under this flow, learning to do “coding” early is catching on. As a father of 2 children himself, Foo, a graduate of MIT, with experience working in Silicon Valley, “For children born in this digital era, Coding which teaches logical thinking and problem solving, and mathematics, are necessary in many aspects in Life”. 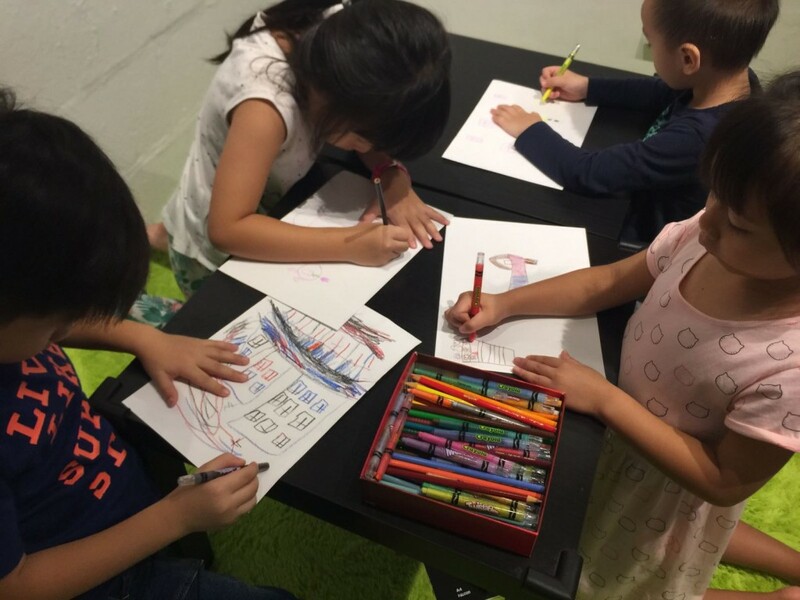 Foo set up Coding Lab in 2015 and is now providing coding classes for children between 4 to 12. Classes revolves around making games and animation, while teaching the essentials of coding. Children interact with the computer screens, learning while having fun. Children of this age lives in a very different environment than their parents’. Saying that, there are probably still parents afraid to expose digital media to their kids too early. N, who had enrolled her daughter to various enrichment classes before this, agrees that coding indeed helped to grow her daughter creativity. With English as her main language of communication, and her current development as base, Singapore is incorporating rapidly programming, said to be the third language, into her secondary school curriculum. At the back of that, this can be seen as an initiative to build up “creativity”, something that is definitely needed in the future. If there’s one thing that never fails to strike fear into the hearts of men (and women), that’s examinations. No matter how much we study and revise, it never seems like enough. Thanks to modern technology, though, we are far better equipped than any other generation to perform at our best. 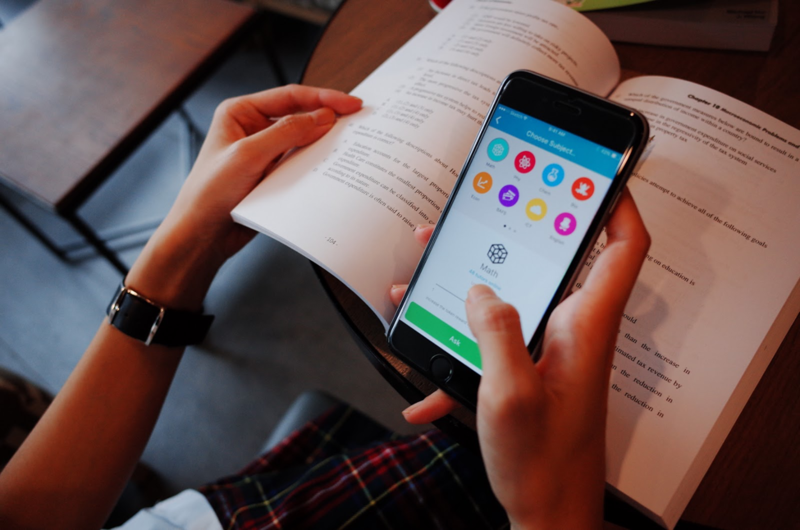 Here are 7 mobile apps that will help to boost your exams revision efforts exponentially, and (hopefully) help you to ace your papers. There’s nothing better than a good dose of reality to get you going. 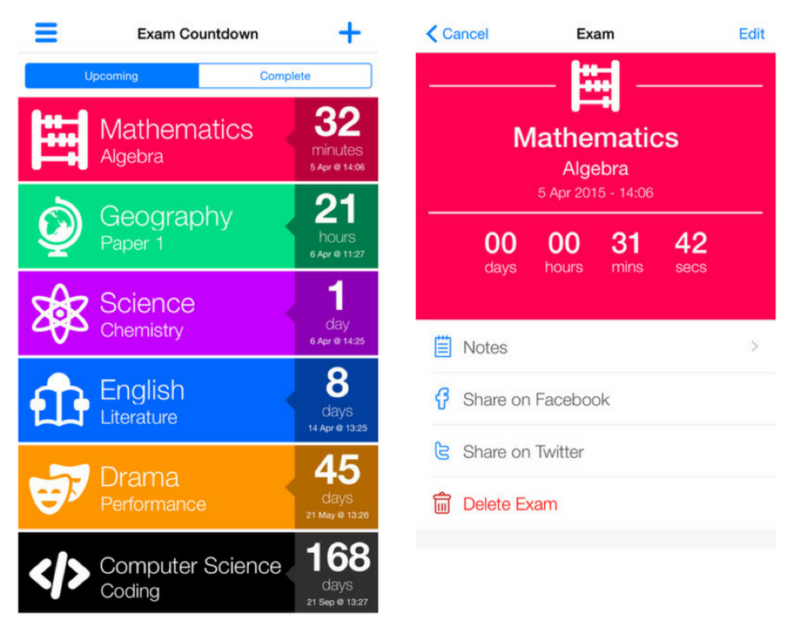 This app allows you to enter all your exam dates and color-code them so that you won’t forget and miss your papers. Even better (or worse), it will show you the number of days, hours, and then minutes left till your papers commence. Talk about fostering a sense of urgency. What’s worse than knowing your exams are in a few days? Knowing that while not knowing how to answer a single question in your mock exam papers. Don’t worry, you can consult a tutor right away via Snapask. With over 3600 vetted tutors on-demand, you can get an answer to your question almost instantly. And as a new user, you’ll get 3 free questions, which is awesome. As the examinations draw near, you’ll need to make use of every bit of time you have at hand to revise. This is especially so if you live far away from school – that commute time can easily be wasted playing mindless games or watching dramas. While it’s not possible to lug around the stacks of notes you’ve likely compiled diligently over the year, you can certainly access them via the Evernote mobile app – provided you upload them there, of course. Even better, you can just take notes directly in Evernote, which is basically a digital notebook in itself. 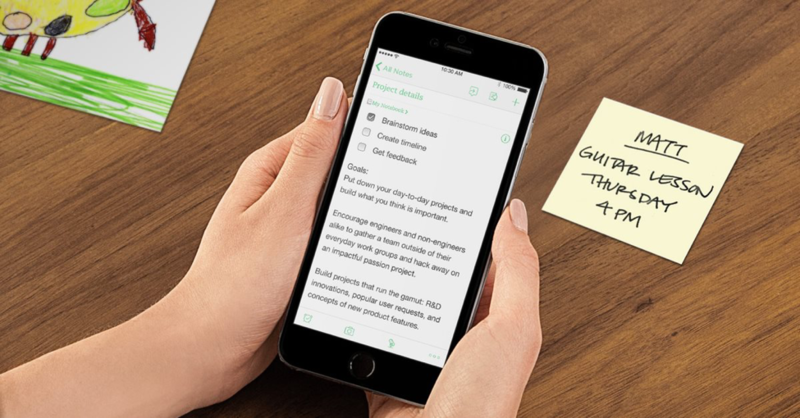 If you’re thinking of using Evernote to compile your revision notes, then Scannable is the perfect companion app. This mobile app allows you to capture your paper documents as high-quality scans, and then send them to Evernote and other apps immediately. If you’ve a visual learner, then this app is just for you. 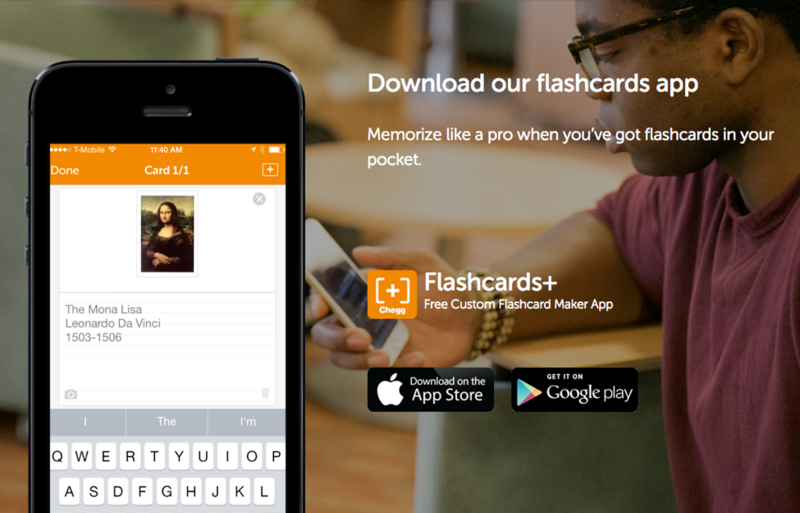 The Flashcards+ app allows you to – you guessed it – create custom flashcards that you can access on-the-go. Once you’ve memorized the content on a card, you can discard it and move on to the next quickly. Oh, and you can add images to your cards to enhance the learning experience, too. Mind maps are an excellent way of capturing information in visual form as well. MindNode is a great way to create and access them directly on your smartphone. Like Flashcards+, you can also add your own images and tweak the design to suit your learning needs. You might think that noise is the enemy of studying. 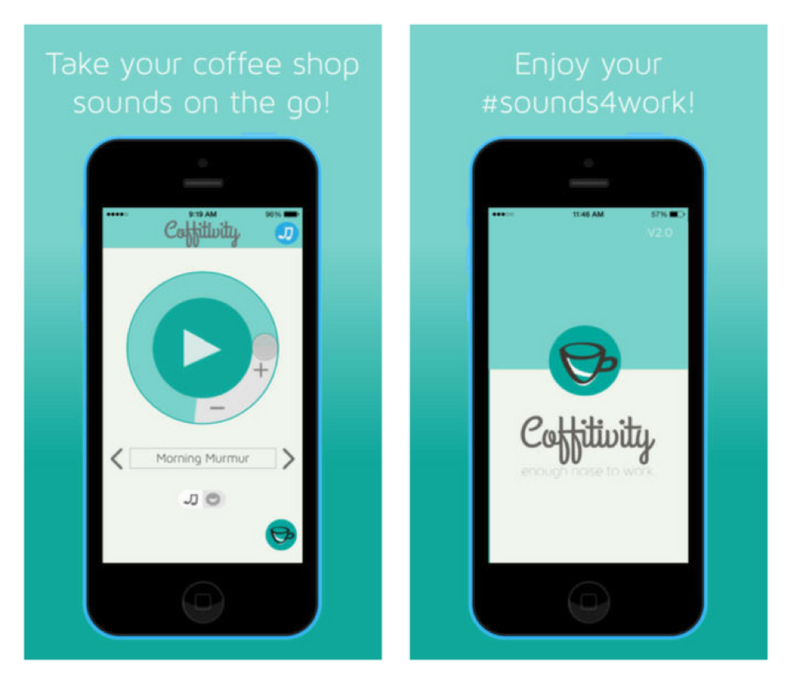 In fact, science says that “small doses of distraction […] prompt the mind to work at a more abstract level, which is also a more creative level.” And that’s exactly what Coffitivity provides – a constant drone of background noises that simulates a cafe environment. Save money on those Starbucks coffees and use this instead. Tinkering Sunday with Playeum: Stories from Scratch! We are excited to work with Playeum to bring to you a very special and exclusive Tinkering Sunday, involving interdisciplinary activities, incorporating art collages, stories, and coding, of course! We’ve got a Tinkering Sundays workshop carefully curated for both the parent and child to work together on an interdisciplinary challenge. 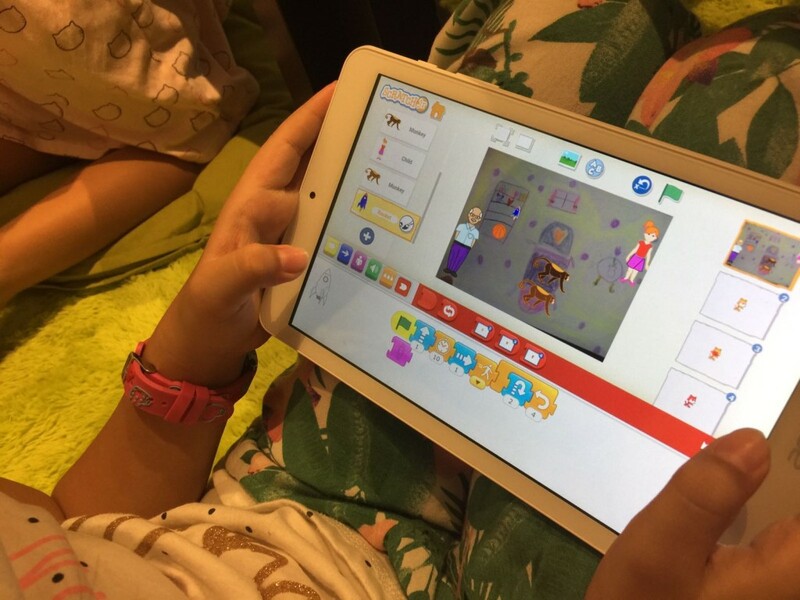 With the use of a range of art and natural materials, design your own landscape, create different characters and watch your story come to live through simple animations using Scratch coding software! Please note that tickets once purchased may not be refunded. However, it may be transferred to other programmes of the same value, subject to availability. Tickets may be transferred or reimbursed in full if the workshop is cancelled or postponed by Playeum. Brought to you in collaboration with Playeum, Singapore. 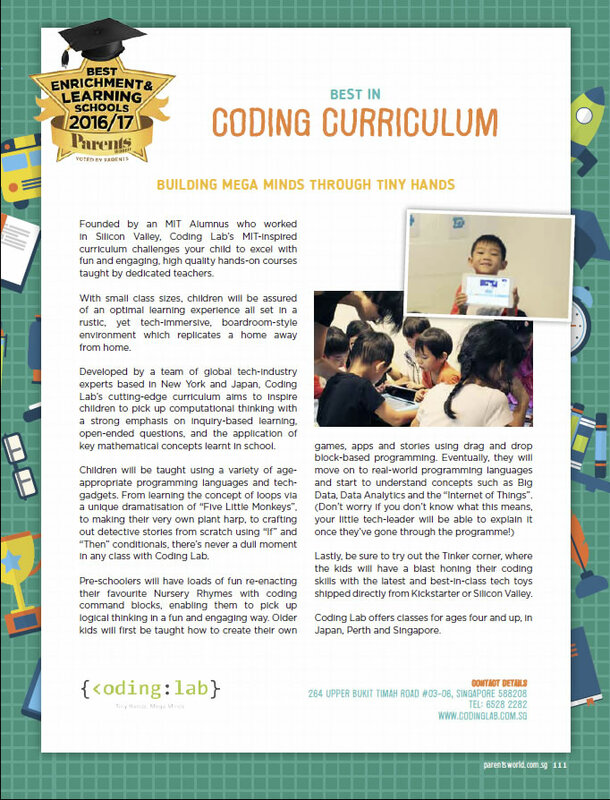 Coding Lab is honoured to be announced the winner of the Best Coding Curriculum by Parents World Magazine (2016-17), as voted by parents. This really motivates our team to continue to do better, challenging our students with our Best-in-class MIT-inspired curriculum and tech-immersive learning environment. Thank you for your votes and support in us this past year! The fastest learning happens from ages five to twelve years. If you want your kids to learn to code, you should enrol your children in kids coding classes as early as possible. Learning programming helps kids think analytically and develop their problem-solving skills. However, there are still many misconceptions about who should learn to code. For instance, some parents have a misconception that one should have extraordinary IQ and math skills to be able to learn to code. 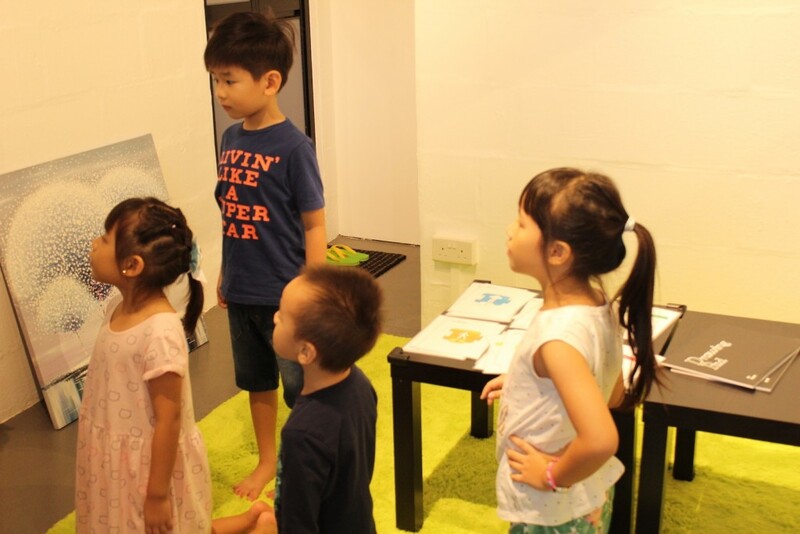 Even many schools in Singapore have not made it a part of their curriculum as yet. Here are some common myths about kids learning to code. 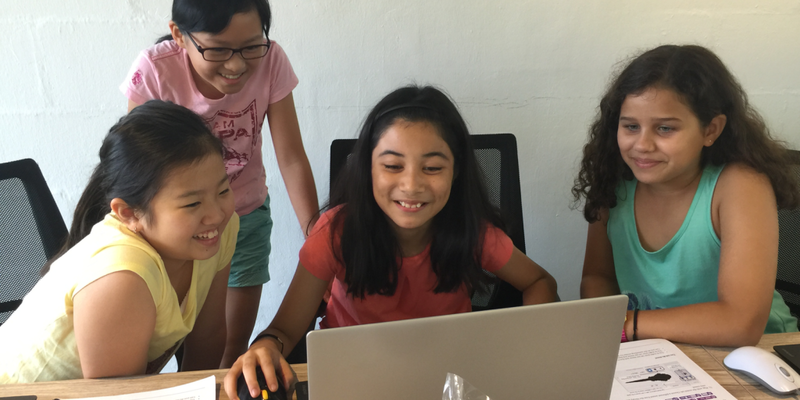 Age is no bar for anyone, including kids, to learn to code. In fact, many governments all over the world are considering whether they should include kids programming classes in the school curriculum. Writing code is a healthy exercise for the mind and with the introduction of visual languages like Scratch and Alice, it has become much more interactive and easier for the kids to learn to code. 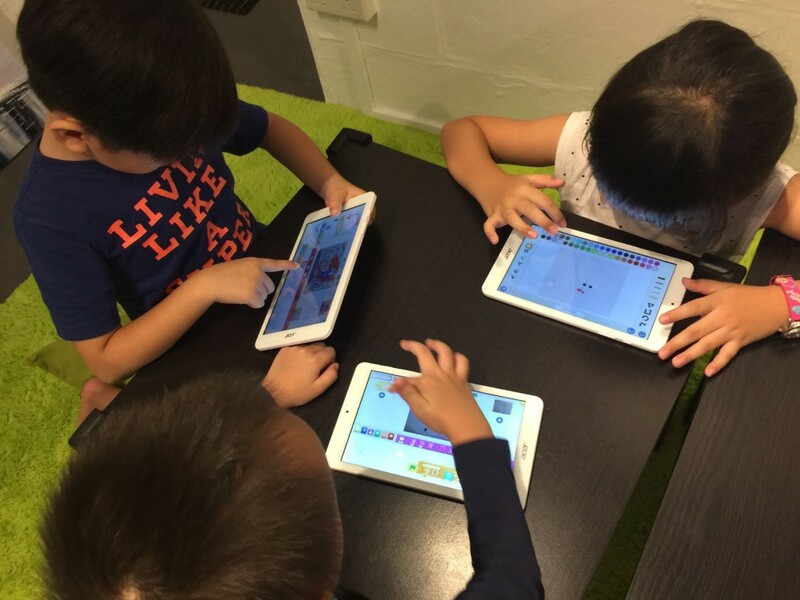 Nowadays, kids can even learn to code on online platforms that combine gaming with coding. Another rumour floating in the coding world is that girl children should not be taught to code. Computer science is wrongly seen as a subject only for males. In fact, the world’s first programmer, Ada Lovelace, was a woman. The lower ratio of female programmers to male programmers should not discourage you from sending your daughter to kids programming classes. It can help them think better. This is not true because children can pick up programming quite easily. Teachers often do not integrate coding into the curriculum because of the little classroom time. 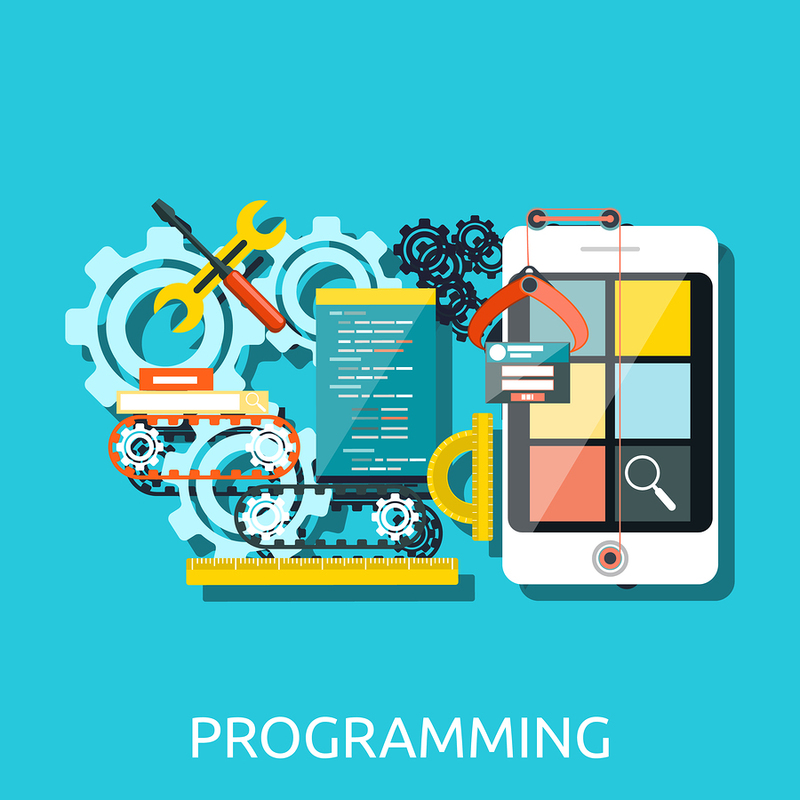 The fact is that coding can easily be combined with other conventional subjects. However, coding classes outside school can engage kids better, by way of interactive games and activities. Introducing kids to coding need not be an expensive process. Some websites offer free resources, lessons and tutorials and apps like Tynker and LightBot to make coding fun. The Raspberry Pi computer is an affordable tool to start with. By sending your kids to coding classes, you can expose them to beginner-level hardware and technology. If all kids in a class do not have their own kits, collaborative coding projects can help. This is a blatant lie, as knowledge of computer programming is desirable in most fields today. It is estimated that by 2020, most job descriptions would require candidates to have basic IT skills. Thus, why computer programming courses for kids in Singapore is on a rise. Even otherwise, computer programming is a lucrative and rewarding career option. Our happy kids coding today. Happy Children’s Day!